Have you ever walked a celestial labyrinth? Up until last week I hadn’t either. 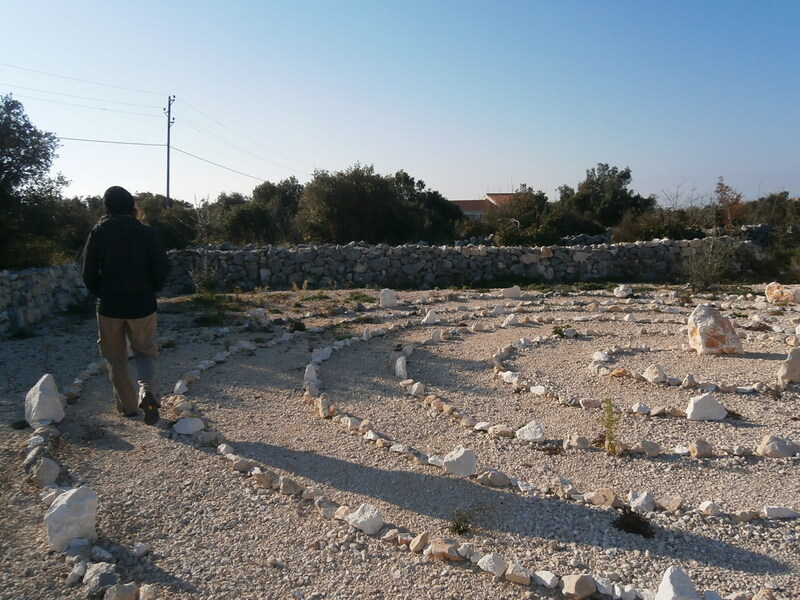 Then, on a beautiful winter day here in Sibenik, Croatia, I was invited to walk the Labyrinth of Wisdom built by famed labyrinth maker Adrian Predrag Kezele and donated to the people of Croatia by Marina Baranovic. 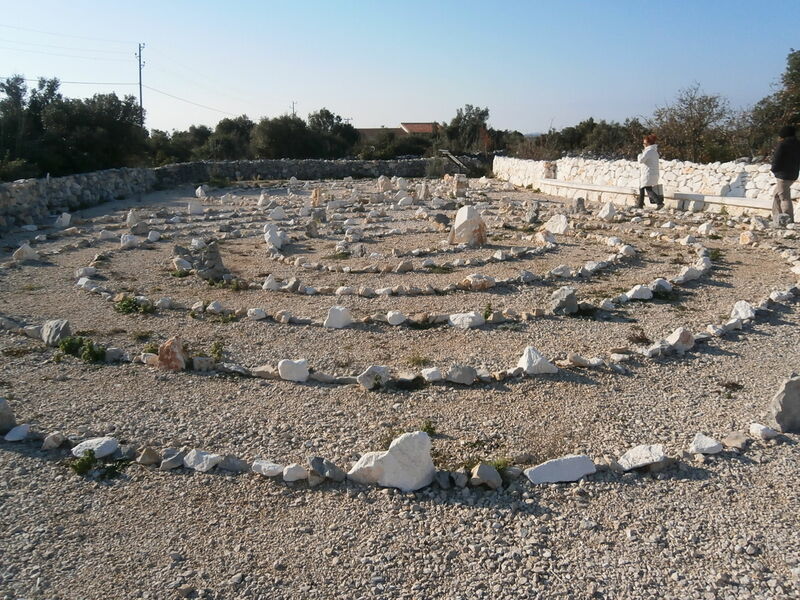 There are many styles of labyrinths and they have been around for centuries. There are nine celestial labyrinths; The labyrinth of life and death – Saturn labyrinth; Rahu Labyrinth – the labyrinth of transformation; The labyrinth of freedom – Ketu labyrinth; Sun labyrinth – the labyrinth of power; Moon labyrinth – the labyrinth of feelings; Mars labyrinth – the labyrinth of energy; Mercury labyrinth – the labyrinth of connection; The labyrinth of wisdom – Jupiter labyrinth; The labyrinth of love and creation – Venus labyrinth. 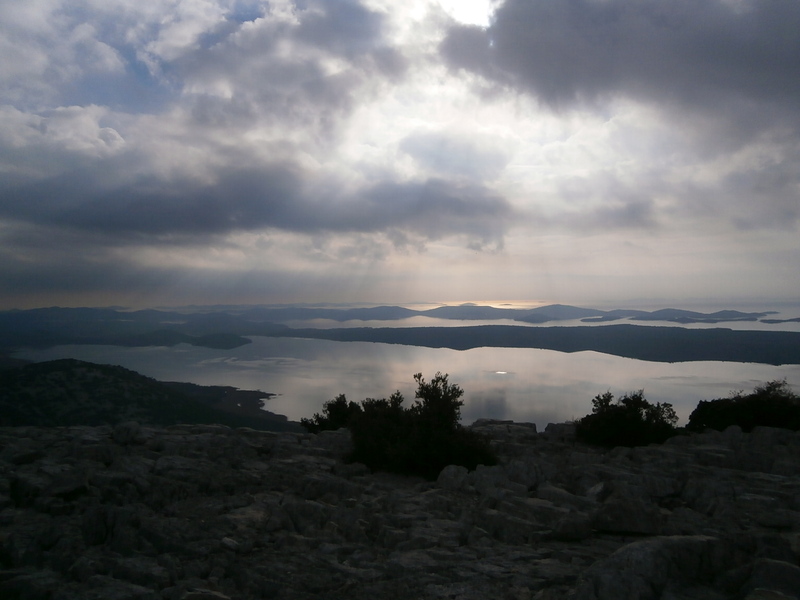 On the outskirts of Sibenik, away from the crowds of the city center, is a parcel of land which once belonged to Marina Baranovic’s parents, who farmed this land. Marina’s family still uses the land to grow olives and other food items but Marina wanted to do more with the land and she wanted to leave a legacy to her town that would stand the test of time. She felt that building two labyrinths was a good use for the land, and a good gift to the people of Croatia. There are two labyrinths here. The first is the Labyrinth of Wisdom which reduces dishonesty and wrong judgment; removes ignorance, prejudices and possessiveness; reveals the purpose of life and gives wisdom, knowledge and happiness. The second is the Labyrinth of Contact which reveals the hidden abilities; makes visible what was invisible; connects what was separated and enables us to understand the secrets of the Universe. Putting the two labyrinths in the same area boosts their power (as per Ganesha: Lord of Success). One simply begins at the beginning and walks the labyrinths while contemplating and asking for enlightenment or fulfillment. Once you reach the middle you return the way you came. These two labyrinths have a beginning, middle and an end. They are free to see and open to the public year round. This is a very special gift to the people of not only Sibenik, to the people of Croatia, but also to the world. Our day continued. Driving though town and out into the countryside we drove up a hill lined with the Stations of the Cross. At the top of the hill stands the remnant of the medieval town of Vrana. The views of Vrana Lake from this vantage point are unmatched and even on a cloudy day the vista that unfolded before us was breathtaking. From as early as 1070 Vrana had become one of the most important centers of political life in Croatia. The land was given by the church to the Knights Templar in the 12th Century (one of three religious orders to be given the land over time) and it was rumored that they buried their treasure somewhere on the land. 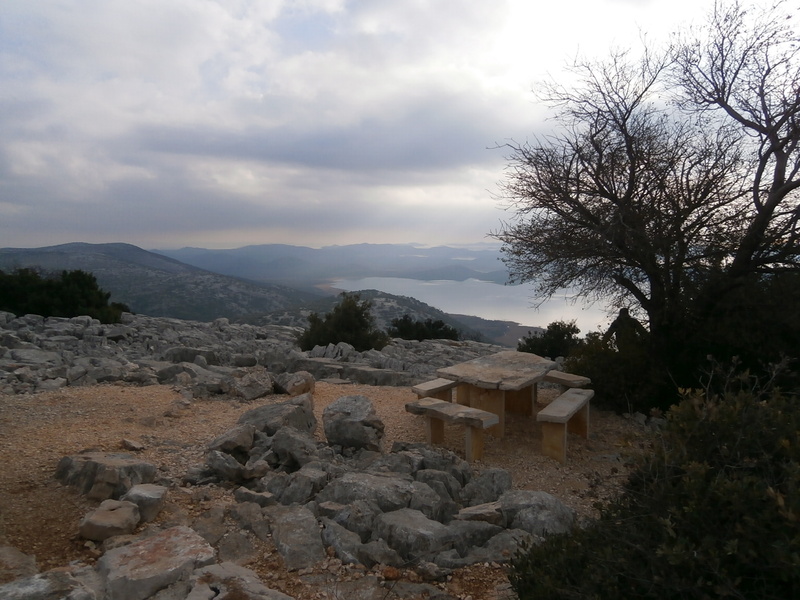 Today there are remnants of past buildings on site; a rebuilt small chapel and picnic tables so that families can come and spend the day exploring and learning more about this interesting part of Croatian history. Our last gift to be unwrapped came at Vransko Jezero or Black Crow Lake located on Lake Vrana, the largest natural lake in Croatia. 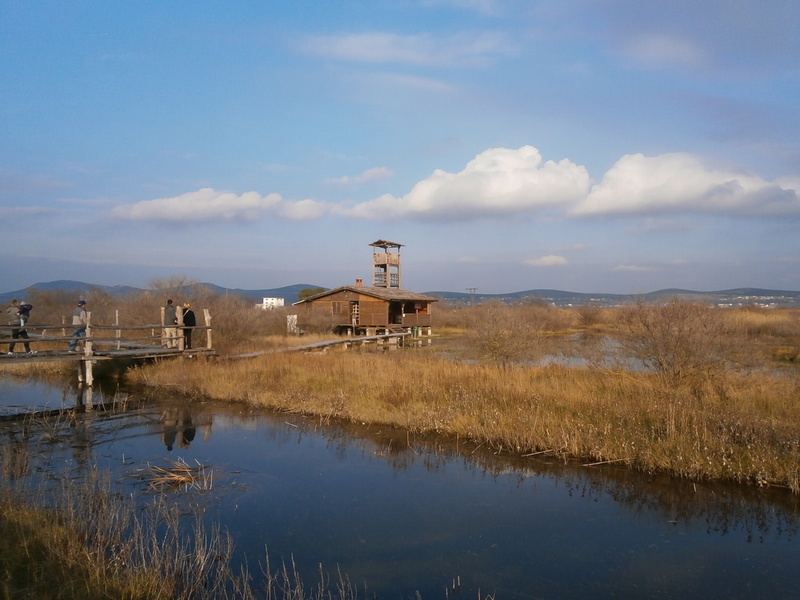 This is one of the protected areas of Croatia and the dominant feature of the park is the ornithological reserve, an almost untouched natural habitat for birds; a rare wetland system full of biodiversity. The lake provides an ample amount of fish for fishermen (pike, tench, carp). Here locals and bird watching enthusiasts from around the world spend hours enjoying not only the beauty of the area but also in seeing some of the unique birds that inhabit this area. 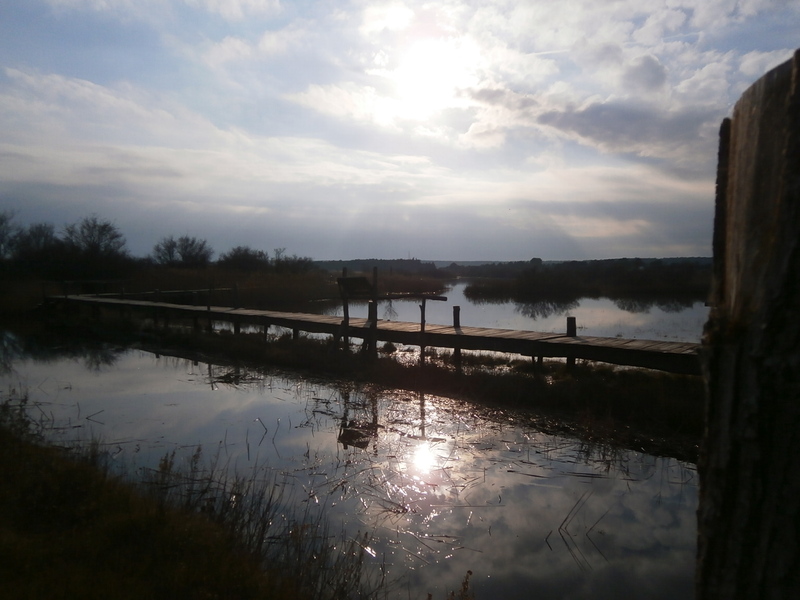 We were there during winter so the water table was higher than in summer when the water comes up and around the walkway but the water was shallow and in some places only inches deep. This natural lake is even more amazing when one realizes that it is 3 miles long and only 15 feet deep which makes every part of this lake accessible as a feeding ground. 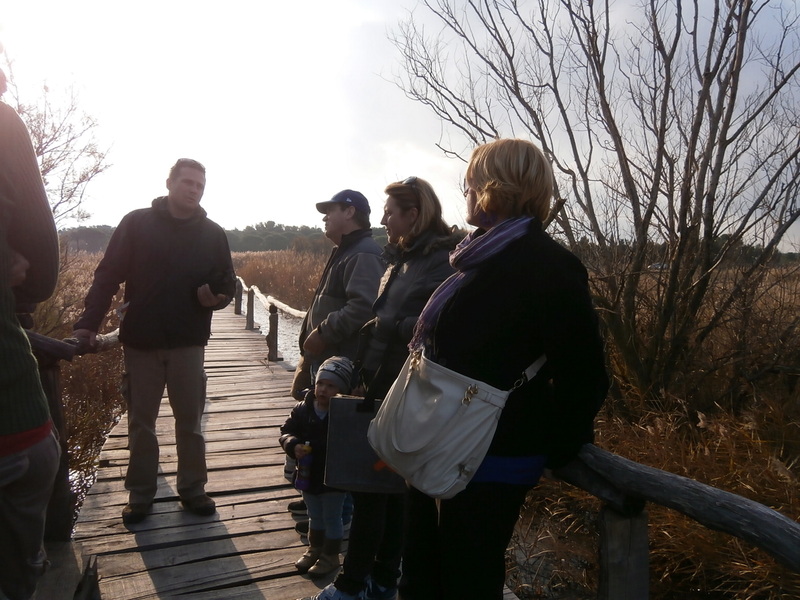 Local bird watching expert Leonardo Grubelic led our tour. In addition to enjoying bird watching, Leo spends approximately 10 days every summer here on the lake finding new species of birds and categorizing them for future research and bird watchers. He imparted that the best time to bird watch is actually in winter so we were there during the best time of year. It was quiet and the day was beautiful and only one other person came to enjoy the view. 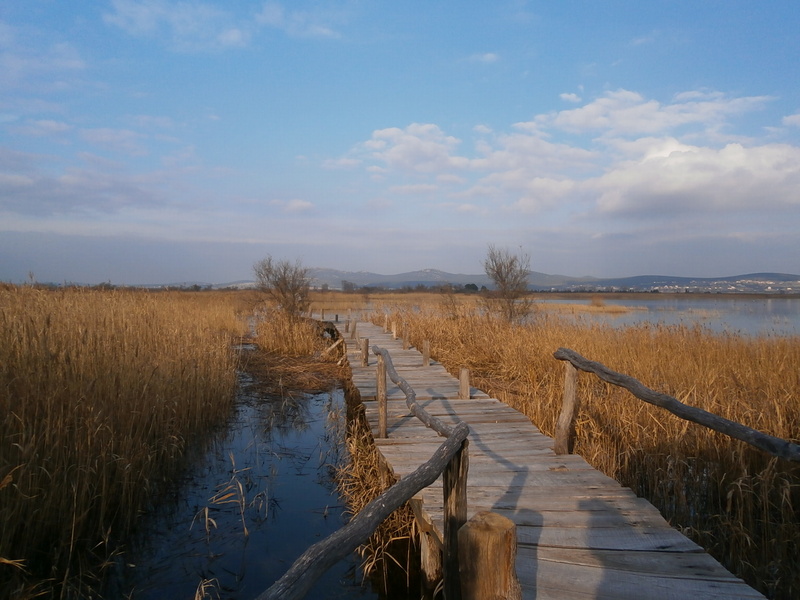 Vrana Lake (Vransko Jezero) is also an important migratory location for birds. Not only does it offer a lush environment for the birds but it is a good resting point for them as they travel both north and south. 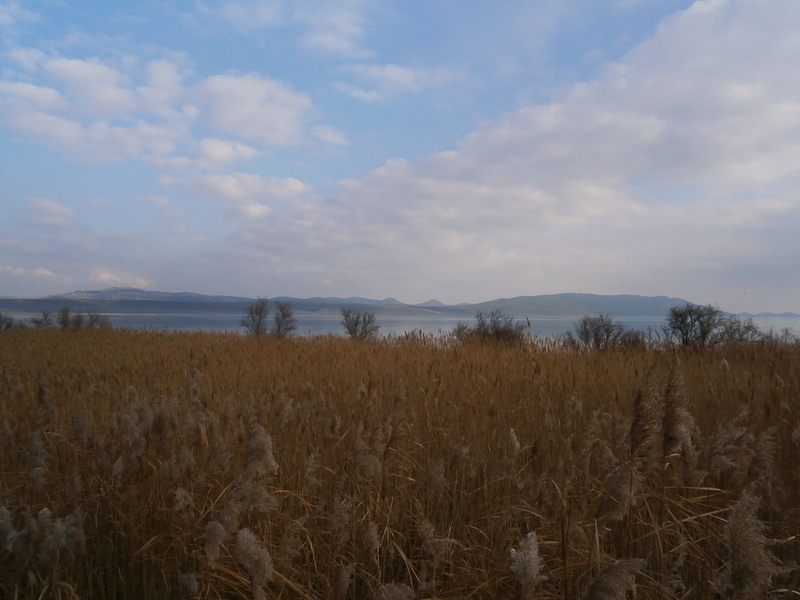 Leo reported that 150 species of birds use this area for migration but more than 250 bird species have been seen here. As our sightseeing, hiking and bird watching tour of Vrana Lake and its surroundings ended one thought stood out for me. If I hadn’t been with a local guide I would never have enjoyed my exploration as much. 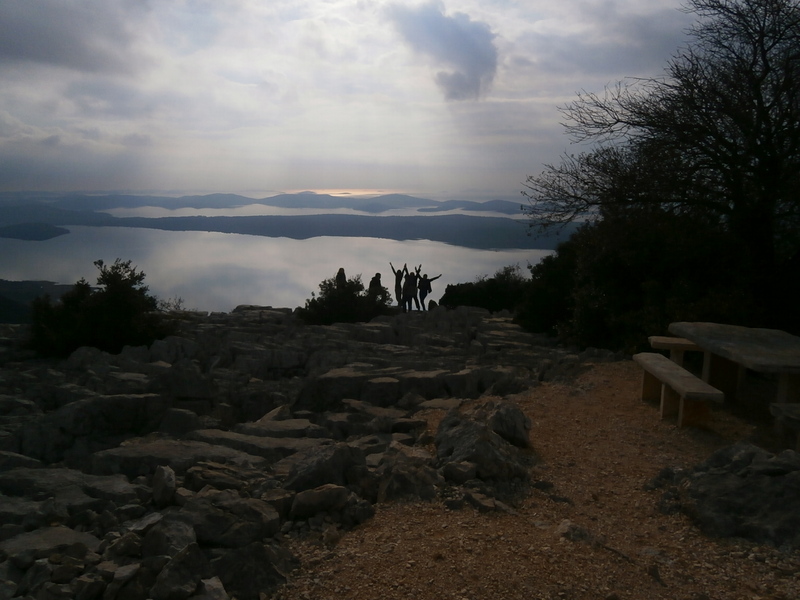 There is so much more to Sibenik than St. James Cathedral and old town Sibenik, and on this day we got to see more of what makes this area special and why we chose to live in it if even for a short time. 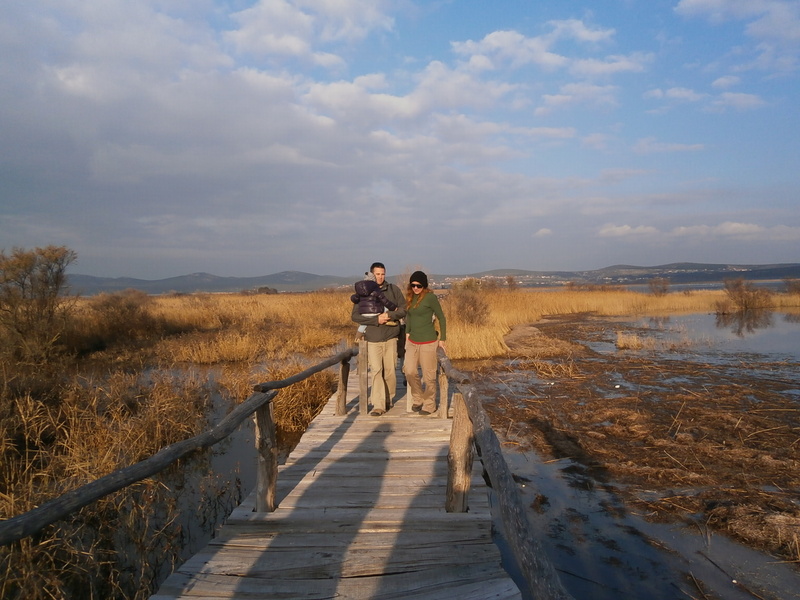 From walking the Labyrinth of Wisdom, to exploring the cliffs overlooking Vrana Lake to the experience of visiting the bird watching sanctuary with an expert we learned more about this region than many people take the time to learn. And we made some new friends along the way, which to me was the best gift of all. 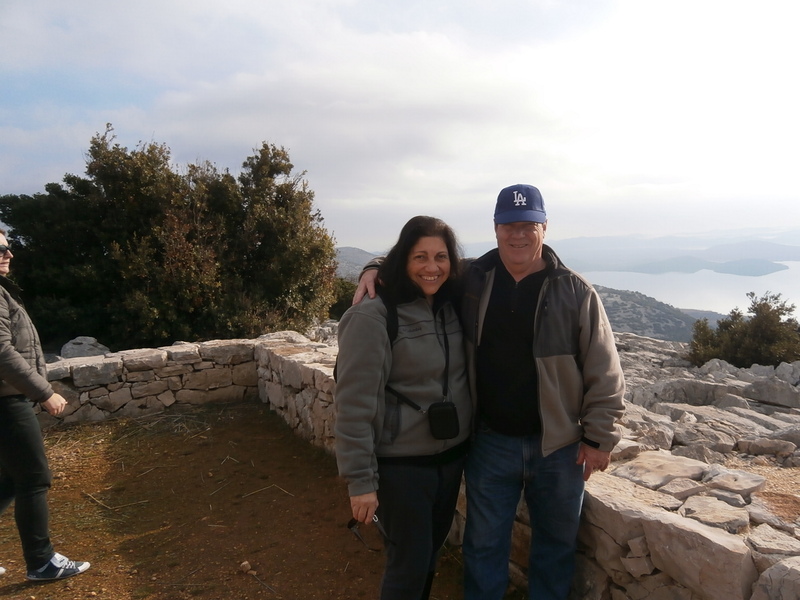 Author’s Note: This special day was arranged by Tina Vickov, Owner of Sibenik Plus Tourist Agency and Biljana Lambasa, Owner of Personal Insider Tours (Zagreb, Croatia). Click on their names to learn more about them and to book directly with them. 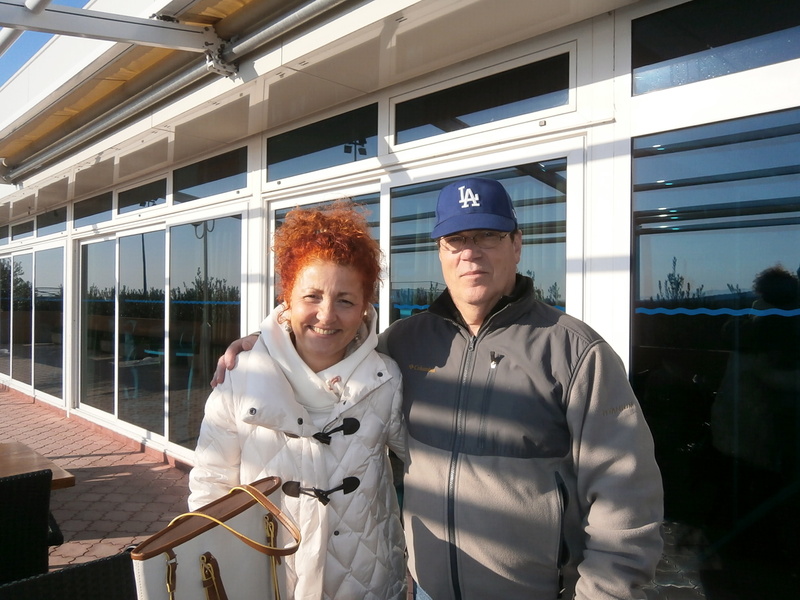 Bird watching tours with Leonardo Grubelic can be arranged via Tina Vickov.